With the PS4 and PS4 Pro life-cycles officially reaching their ends, and Sony confirming PS5 details, we can't help but wonder what Sony has in store as a successor to PlayStation VR. It’s almost certain that PSVR 2 will work exclusively with the PlayStation 5, but we probably won't be seeing the next-generation PlayStation until at least 2020. With no official word yet on a PlayStation 5 release date, and Sony officially confirming it won't be at E3 2019, it's difficult to pin down exactly when we might get to see a PS5 console or the PSVR 2 - although Sony has confirmed we won't see the PS5 in 2019. If Sony mostly allocates its manpower to PS5 production, then the PSVR could launch much later than the console’s release date - perhaps a year or more. PlayStation VR launched three years after the PS4, after all. 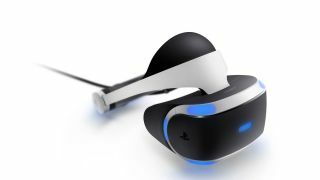 However, Siliconera spotted two new filings relating to Sony's virtual reality headset which could point to the sort of experiences the company is planning for the future. The pair were filed in 2017 and 2018 respectively, suggesting that (if they've been pursued by Sony) they could soon bear fruit. The first relates to live events. Sony's patent describes a scenario where a user is in attendance at a real world location, such as a sports stadium, with the headset "anchoring" them "to a physical location in the venue". They'd be surrounded by real-world attendees, letting them watch the event as if they were actually there. It sounds similar to other live VR applications, like Next VR, Melody VR or Oculus Venues. As we've mentioned, PlayStation VR hasn't met Sony's sales expectations, but its sales are nothing to sneeze at compared to the high-end VR headset competition, but Sony had expected the entire VR market to grow.